This post “Best Managed WordPress Hosting in India” analyzes the most available managed hosting solutions in the market and we started testing each company and find out which one impressed us. Gone are the days, the typical web hosting which offers common solutions and there are specific needs based on CMS and the thing happened is managed services. Here are the five of Managed WordPress Hosting in India for 2019. Kinsta got a great recognition in short times, thanks for offering a greater alternative to industry leader, WP Engine. Though WP Engine is still the #1 managed WP Hosting company, Kinsta started offering something for people which they don't find with WP Engine. Since powered by Google Cloud, Indian users can use Google's Mumbai data center to load your websites at the very fastest time without any latency. WP Engine was founded in 2010 can be easily recognized as the leader, since they're one to bring the concept of fully Managed WordPress Hosting with AWS. Taiwan is the closest data center location this company offers service for Indian customers and visitors, though they're powered by Cloudflare CDN which has three POP data center locations in India from Chennai, Mumbai, and New Delhi. As said earlier, WP Engine comes with a page performance app which does a lot of jobs like monitoring the load time of each page, bounce rate, conversions, and KPIs which you don't find with any other companies. 24×7 customer support, I don't find a way to complain, the team is perfect. Partnered with Cloudflare for better CDN caching to improve load times across the globe. However, if you're using our exclusive link, you'll be getting a 20% OFF on your first billing either monthly or yearly. The latest entrant in the Managed space, I was already their customer and blindly I can say the offer fastest shared services for its customers and we the data for it too. Coming to A2 Hosting Managed, I made a demo site for my own, tested and find more info below. Offers 6x fastest managed hosting servers through A2 optimized WordPress installations, the best of all. The highest plan offers unlimited site hosting which I bet you don't get it with any other companies in the market. Another cheapest Managed WordPress Hosting and Indians will surely love it since they're the only company to offer Email service along with their managed hosting. Almost 99% of companies never offer email along since they believe they can affect server performance including the likes of kinsta and WP Engine. 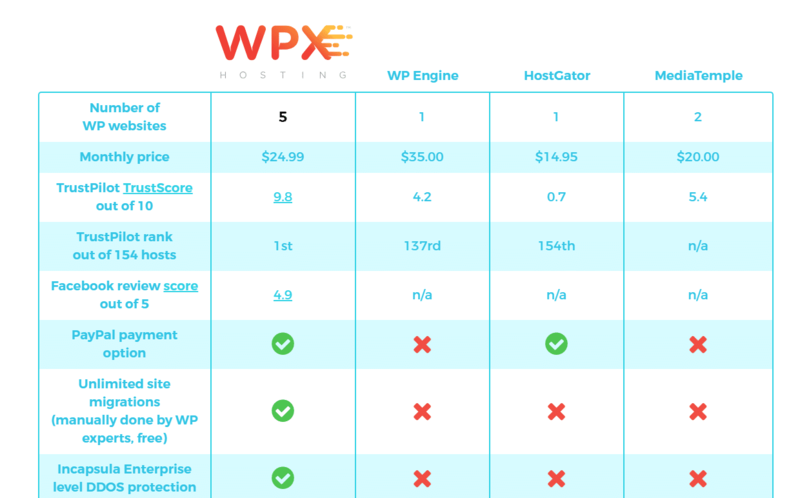 However, WPX Hosting does this and here are the other few factors you need to consider. Along with Email, the Managed plans are so cheaper compared to the above two companies. Impressive customer support, available at just 10-20 seconds through live chat. Unlimited site migrations while others provide you a limited migration. Offers unlimited bandwidth on higher plans, the only brand to do so. The list is empty without mentioning SiteGround. If you have checked the pricing of the above products, you don't see something less than $10/month and some of them might get disappointed. If you're on a such a situation, looking for an affordable Best Managed WP, SiteGround is the only solution I recommend for you. SiteGround is officially recommended from WordPress.org for their contribution towards their WP platform. The company has a Singapore data center thus a good option for Indian visitors. Free in-house developed caching plugins, security rules for better and secure performance. At BloggingIO, I'm constantly looking for best servers since we handle a lot of sites and thus need to work on multiple servers. 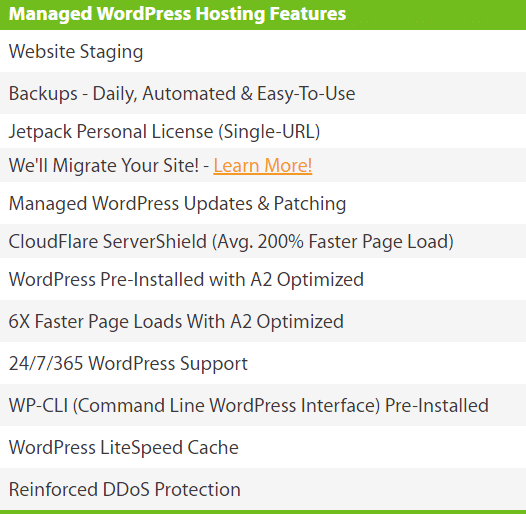 As of now, the above five are the Best Managed WordPress Hosting India I can recommend. Most companies offer a minimum of 30 days to 60 days money back guarantee and if you've signed up for some companies but didn't suit, you can cancel the account and get a full refund within those days. So, literally, you've nothing to lose.